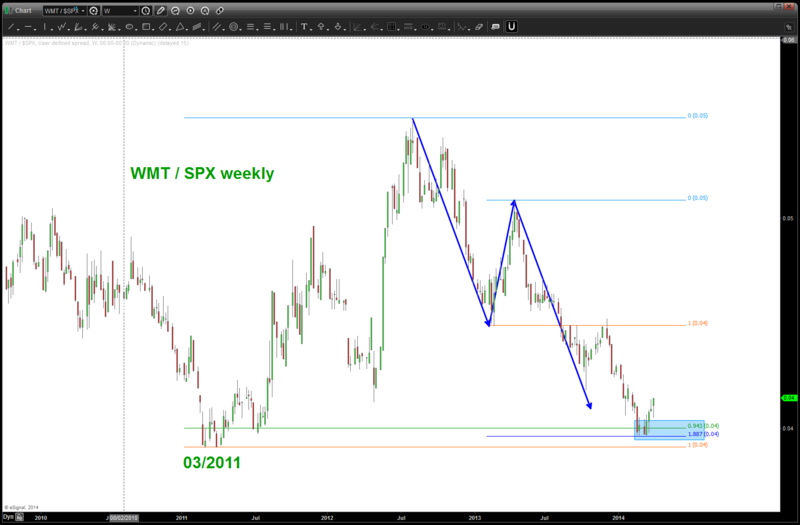 CLIFF NOTES: support found in the relative strength of WMT/SPX. When this ratio goes UP the stock market goes down, when the ratio goes DOWN the stock market goes UP. In the world of ratio analysis we are looking at the relative strength of something versus something. This has nothing to do w/ the RSI. If the numerator is BIGGER (more strength) than the denominator then the ratio goes UP and vice versa. This does not mean that the individual securities being compared will not go up or down. Just they should go up or down based on the strength or weakness. when this ratio hits a bottom the market tops and vice versa. now, we have been watching patterns get hit and work for a time but then fail (BUY patterns of the ratio) and, most recently, we hit another pattern and the ratio has shown strength and, well, the S&P has shown some weakness. 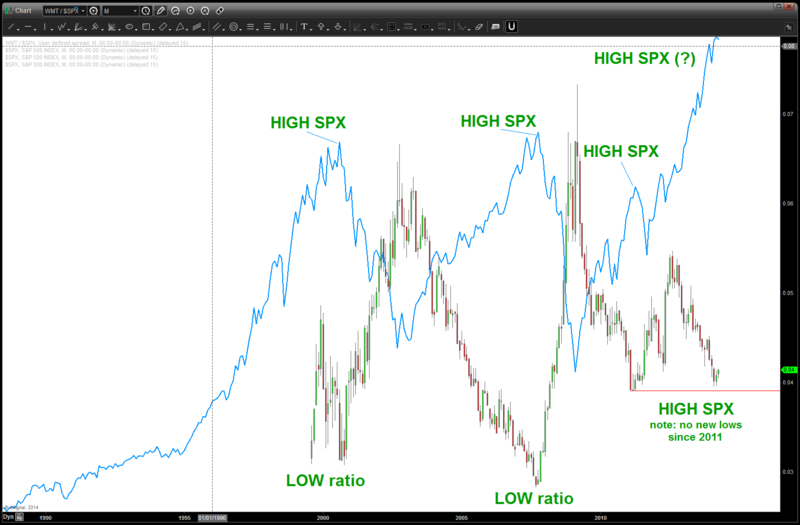 Also, note the new highs in the S&P were NEVER confirmed by new lows in the ratio. per a couple posts ago – it’s all about the swing low – so watch weekly swing lows. Until they are taken out, this band can definitely play on. Guess it doesn’t matter that the band is on the Market Titantic.